← My father has dementia and it’s driving me mad. 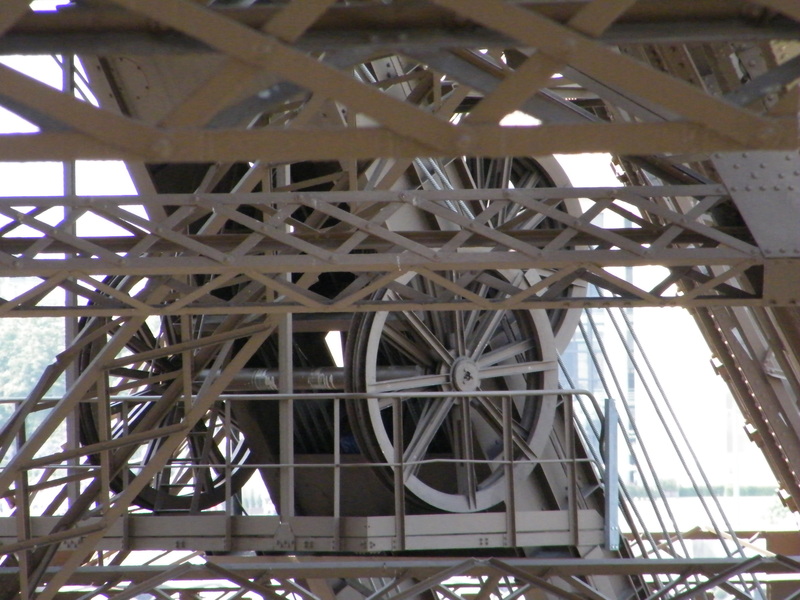 I have visited Le Tour Eiffel three times and I will never tire of it, although I did see it in a whole new light – quite literally – this time round. 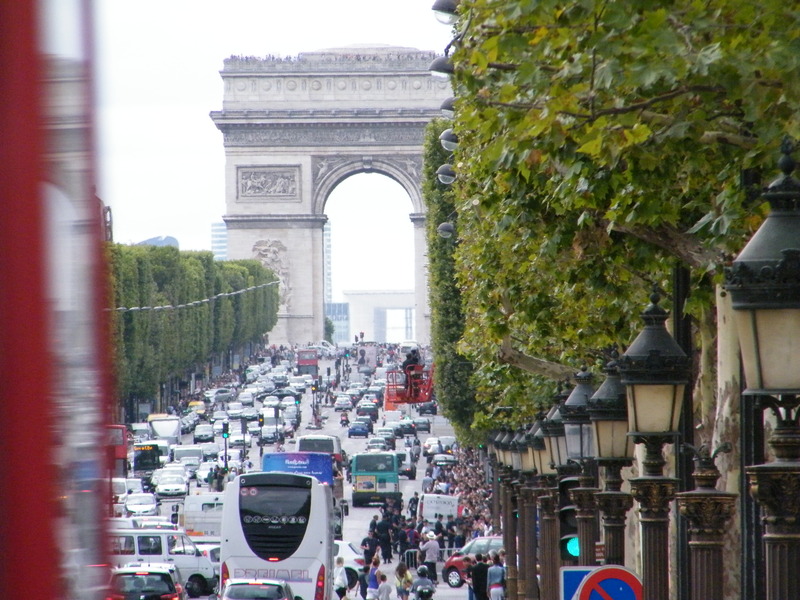 The drive into the centre of Paris was made all the easier with our dear friend TomTom although it wasn’t much help around the Arc de Triomphe; but then nothing helps you there as your fate is very much in the hands of the other (mostly French) drivers! But we were soon guided to what was quite possibly the smartest, cleanest, shiniest public car park I have seen! We made our way by foot along the boulevard towards the Tower. 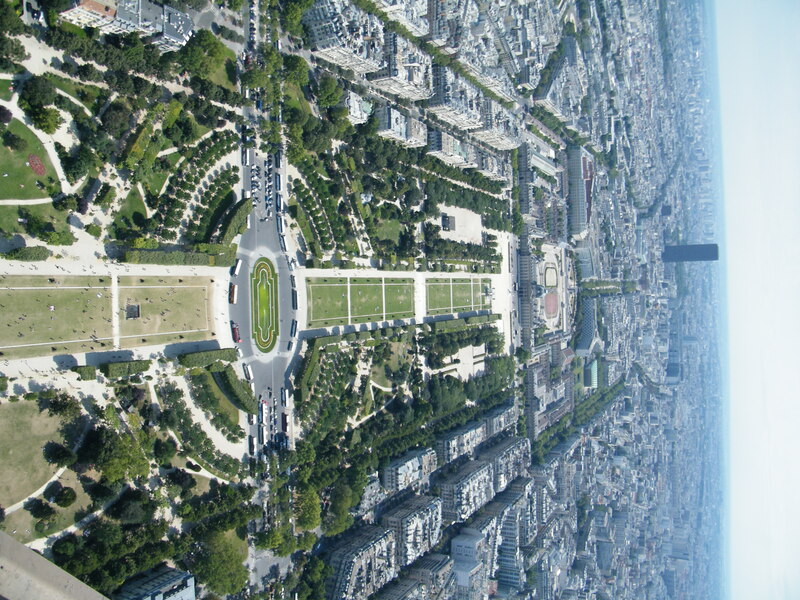 Then just a few steps away from this growing building is the enormous Eiffel Tower that rises up from the ground as if some great eruption has occurred from the Earth’s core leaving the tall pyramid shaped structure as its calling card. But you know the first thing that really struck me about this masterpiece in engineering? Not the magnitude of the project or the inspiration that must have been its driving force; no, rather sadly it was the builders’ yard that we found underneath the Tower. A conglomeration of Harris fencing, bollards, scaffold, boxes, tables and railings. 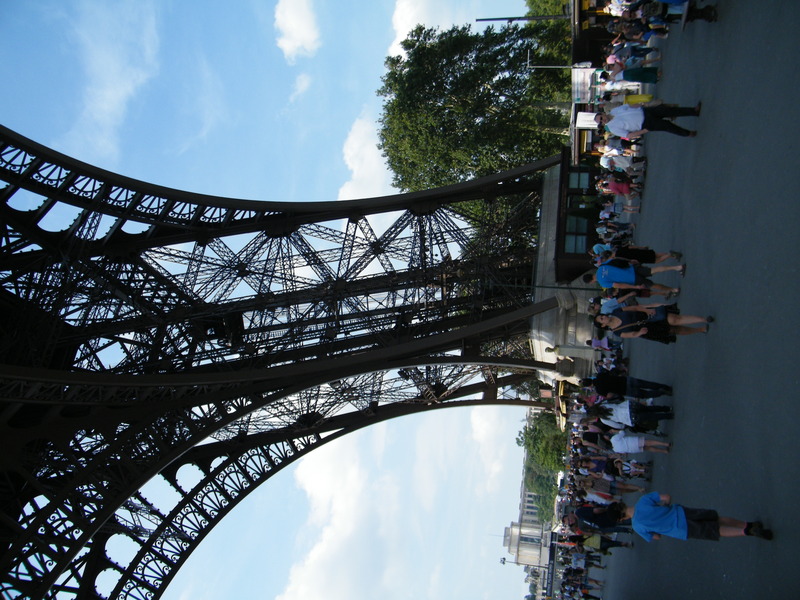 Added to the confused hub-bub of tourists, the ground level of this Parisian beauty was quite frankly an eye sore. However, this shame aside, another sure thing you will find here are the queues. There are dozens of them, not in any particular order and the elements of which don’t appear to have and direction. But that’s the phenomena of queuing; and dare I say, I think we English have it down to a fine art. And so it was I tried in vain to find the correct queue to join. However, ‘queuing be damned’ I thought in that other English custom of Dunkirk spirit and I looked for an alternative that I found in the form of the ‘group ticket’ office who very obligingly told me to join the much shorter queue at the South Tower where I could buy a ticket to the 2nd floor, then buy another to get me to the top. The only draw back – we had to walk hundreds of stairs upto the 1st floor! But we were rewarded with a cooling drink from the cafe on floor 1. There are several information boards around the perimeter of this floor. It is well worth looking at these as they are packed with interesting information on the Tower and it’s construction/history. We made our way up to the 2nd floor. If I thought it had been chaotic on the ground, this was ten times as bad but in a much smaller space. But we eventually found somewhere to buy our ticket and took the lift to the third floor. Of course the view is magnificent, but you have to be patient because it is not only packed with people looking, but there are people taking photos of the view and people taking photos of people looking at the view! But take your time and look across the city from each side of the Tower, it is worth it. There is a small room that has been staged to show Monsieur Eiffel entertaining some guests; it is quaint although somewhat shabby and the perspex window looking into the room has been scuffed and scratched. We made our way back down to the 2nd floor. There is another small cafe here and of course the ubiquitous gift shop, but be warned, the toilets are dreadful. Definitely forgotten since the 1950’s, there are just three ladies’ loos! We decided to walk down the rest of the way. Again well worth it because you see the original metal work and design and you cannot help but marvel at the structure and you understand why she is so special to the French. But the stairwell is narrow and there are few places to stop and look, so be prepared for lots of tutting and waiting if you want to look at anything en route. 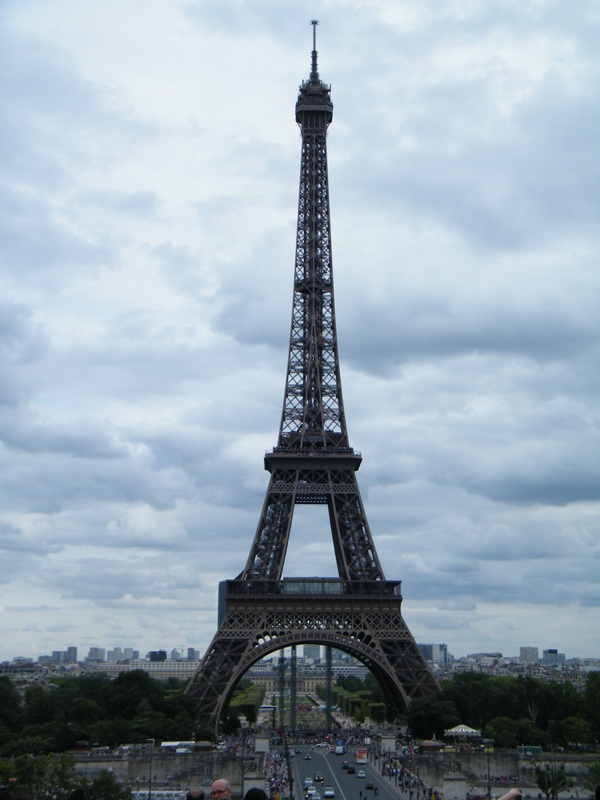 My first visit to the Eiffel Tower when I was a child is memorable because the toilet attendant asked my aunt if I was a girl or a boy (I was a thin pale 7 year old with very short hair); my second I cannot honestly say I recall, but my third, for all my complaints really was the best. Maybe it’s an age thing as I now appreciate much more than I ever did, or perhaps I have mellowed and the French way of doing things no longer annoys me as it used to. Either way I would go again for a 4th time and my recommendation to you would be: don’t just join the queue that takes you all the way to the top, look for the South tower and if you are up to a steep climb, make your way on foot. So I forgive the laissez-faire attitude of the French because they have a most beautiful Tower that deserves to be adored, and I might add, looked after a little better. On a final note, I’m not sure about the Blackpool illuminations effect they put on at night; the sparkly lights are far too bling, not at all chic. 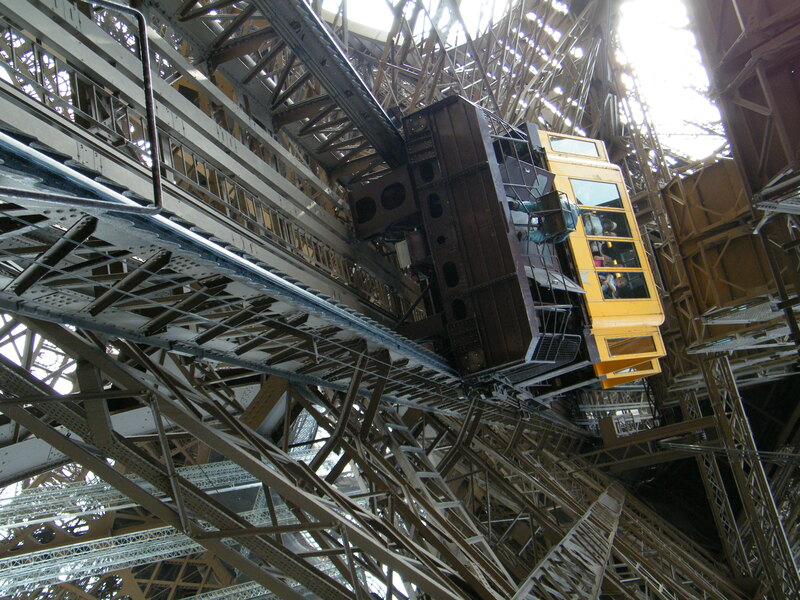 This entry was posted in Historic Monuments, Holidays & trips away and tagged Arc de Triomphe, Eiffel Tower, France, holiday, le tour eiffel, living wall, Paris, Quai Branly Museum, tourist, travel, trip, vacation. Bookmark the permalink. The builders’ yard and other accoutrements you mention were there when I last visited (in the 90s?) but it is spectacular. When I used to be involved in secondary school coach trips to Paris, the view coming out of the road tunnel north of the city was guaranteed to elicit oohs and aahs from the otherwise jaded students, with the tower continuing to impress them when seen close up — great to see teenagers lost for words! 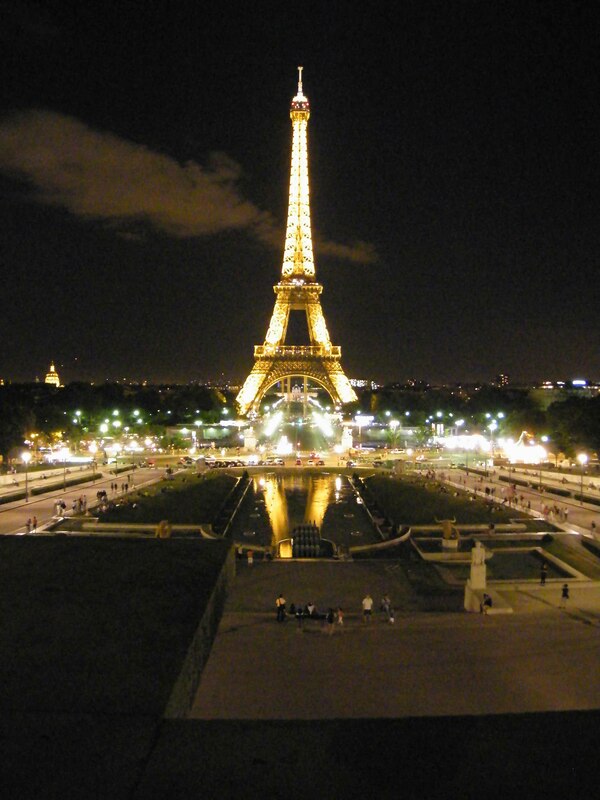 Quite, the Eiffel Tower is fantastic, it never ceases to amaze me no matter how often I go! I fantasised about being commissioned (& paid) to do some copywriting work in Paris for a few months so I could immerse myself in the history & culture of the area. But nothing has materialised so far! I think it’s a shame there are now taller towers in Europe, even so, La Tour Eiffel will always be head & shoulders above the others!